For the artists, the human condition has always been exceptionally intriguing. Making it their primary source of inspiration, many of them explored both modern psychology and ancient mythology in order to figure out what many times seems unknowable. 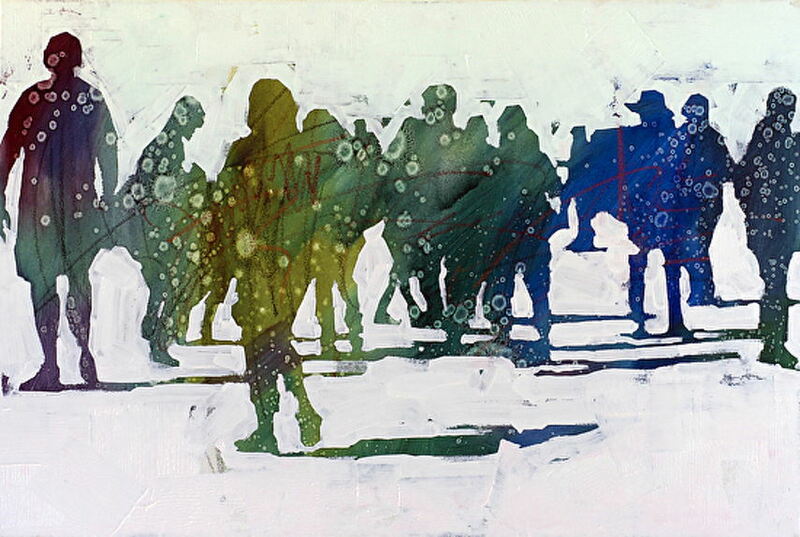 John Wentz is an American artist who based his entire artistic language on this quest. Inspired by the writings of psychologist Carl Jung, Wentz’s work explores how the archetype of the hero – and specifically the superhero – influences the human experience. Juxtaposing vintage comic book characters with surreal depictions of children, John aims to create a dialogue between his childhood and the childhood of today, which seem to lack or misunderstand this timeless archetype. John was born Fremont, but he lived almost everywhere in San Francisco Bay Area. He was fascinated by art ever since he can remember. Of course, for one small boy, the finest work of art and its main source was comic. By copying Batman and Spiderman panels he entered the world of creation. And he really liked it. So much that he decided to pursue the career of the artist. 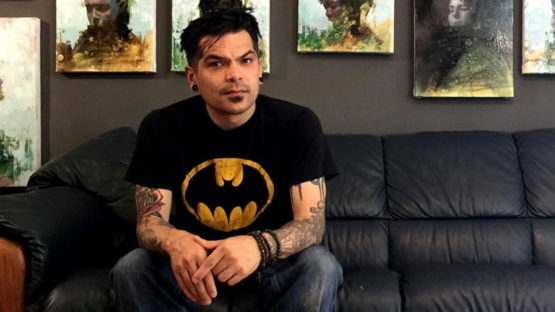 At the beginning, Wentz worked in the commercial arts as a muralist, billboard creator, and freelance illustrator. After learning to paint by doing airbrushed billboards, he decided to try Fine Art and work in oils. 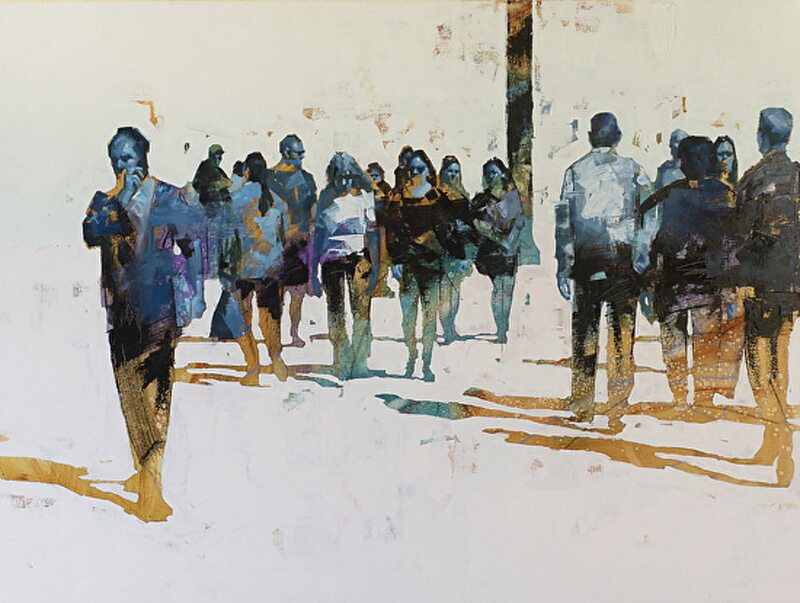 In 2006, John Wentz earned his BFA in Painting from Academy of Art University, San Francisco, CA, the same school where Kim Cogan, Kevin Moore, Brett Amory, David Choong Lee, Adam Forfang and many more went. As Wentz would later describe, this school had a tradition of pretty technical curriculum, mostly entrenched around 19th-century realism. Once this artist discovered ancient Egyptian portraits on vases that looked as if they could have been painted in the 19th century, his passion for figurative work was unleashed that very moment. Stark landscapes and dilapidated carnival structures serve as backdrops to Wentz’ hauntingly beautiful paintings. Among these landscapes, figures wander and gaze in gas masks, interacting with this changing world around them. The gas mask appears throughout the imagery in this new series, symbolizing the fear of the unseen and unknown. Like many potent symbols in the work, it represents the will to survive amid the dehumanizing effects of war. The moody dystopian atmospheres are punctuated by subtle color shifts and a variety of paint applications varying from meticulous rendering to loose, abstract expressionist strokes, describing figures and places like a visual shorthand. Wentz’s method lies somewhere between austere technicality and genuine expression. It’s a process where a classical human figure is reduced and simplified to its essence which can be defined in three elements: composition, color, and paint application. This artist feels most comfortable working with blue, green and red in his pallet, as the relationship between these colors is what suits the most all the emotions of his artistic expression. This yound artist had quite a few solo exhibitions in San Francisco and numerous group exhibitions both nationally and internationally. His works have appeared in many publications and have won multiple awards. This artist is represented by Hashimoto Contemporary. John Wentz lives and paints full time in his studio in Vallejo, CA.